Why is entrepreneurship training for music majors garnering so much attention? It’s no secret that fewer traditional jobs await even the most proficient musicians when they graduate from music school. Combine that with the number of highly-trained musicians and you’ll find some serious supply and demand issues. Music schools vary markedly in what they offer along these lines: from entrepreneurship-related degrees, minors, and certificate programs, to courses, presentations, internships, summer intensives, and cross-campus programs often in collaboration with business schools. Most of what’s out there engages students at their level of interest, so students must seek out these programs to benefit. Some schools are integrating entrepreneurship training for music majors into the curriculum as early as freshman year. Students at Southern Methodist University Meadows School of the Arts take a class called “FACE” (First-Year Arts Community Experience), where they’re introduced to entrepreneurial skills and other important tools for their careers. Each student leaves their first year with a self-created video, elevator pitch and website. This helps them develop their network, as well as their online presence and digital portfolio, says Jim Hart, Director of Arts Entrepreneurship. Students are taught “how to choose an audience they wish to serve, to play a leadership role, and create for and market to the needs of their audience,” he adds. At DePauw University School of Music, all music majors take up to six entrepreneurial courses as part of their curriculum. “Our courses have been redesigned to include skills for 21st-century musicians,” says Steven Linville, Music Operations Manager. Keane Southard agrees. He received his MM in composition from the University of Colorado Boulder College of Music and his BM in Composition and Theory from Baldwin Wallace University Conservatory, agrees. “Students should take advantage of entrepreneurship programs because mastering your craft is only half the equation of making a career in music,” he says. “Musicians are by nature creative people, and they should also apply that creativity to the business side of their profession and not just the artistic side. Doing so can lead to more opportunities to fulfill yourself as a musician and connect your music with more people, and I believe every musician wants that.” Using his entrepreneurship training, Southard is in the process of planning to hike the New England portion of the Appalachian Trail, compose a large orchestral work inspired by his hiking experiences, and bring several orchestras on board to perform his work. Entrepreneurship programs help students learn how to find and create opportunities for their music to be performed. They also learn how to think about creating opportunities where they can apply their musical training and the transferable skills they’ve gained in music school. Why Take Advantage of Entrepreneurship Programs for Music Majors? Projects emerging from entrepreneurship programs for music majors include successful student and professional concert series; collaborations with restaurants, clubs and galleries; websites for selling scores and parts for bands and orchestras; private teaching studios; K-12 music programs; and much more. Tuition-free camps and programs founded by Kate McKinney and Brenton O’Hara, graduates of the University of South Carolina School of Music. 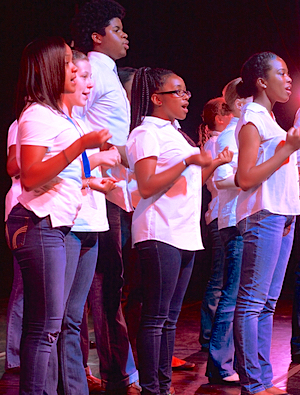 For underserved, marginalized students who learn how to put together and perform an opera while taking classes that teach tangible skills for everyday life: leadership, financial literacy, resisting drugs, healthy communication. 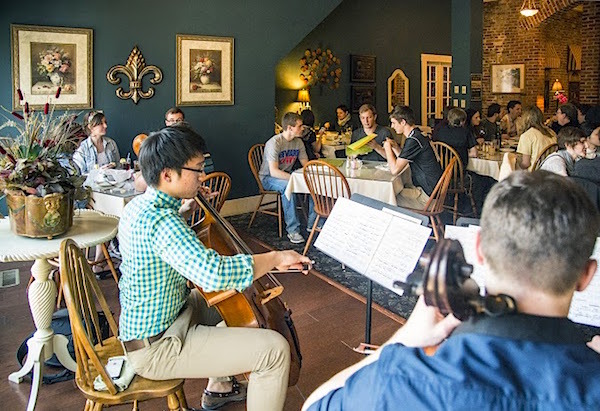 A chamber music initiative founded by current and former SMU Meadows School of the Arts students to make chamber music more accessible by bringing it into unexpected settings such as parks and nightclubs. Cleveland-based jazz club featuring public performances as well as music and arts instruction, music therapy, and early childhood arts education. Directed by Gabe Pollack, an Oberlin Conservatory graduate. An opera company run by Indiana University Jacobs School of Music students, featuring next generation operatic composers with the intention of creating relevant opera for modern audiences. Dallas-based chamber music ensemble composed of four SMU Meadows music students and alumni. In residence at SMU from August 2015 – May 2017. An award-winning saxophone quartet formed by students and alumni of Indiana University Jacobs School of Music, featuring music of various genres. Colorado-based professional string quartet founded by Beth Rosbach, a graduate of the University of Colorado Boulder College of Music. 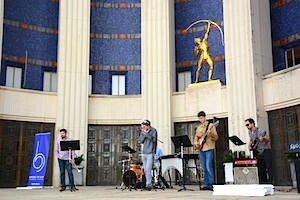 An offshoot of Bridge the Gap (see above), bringing music to underserved schools in the Dallas area through SMU Meadows School of the Arts students and resources. What are the most useful takeaways from music entrepreneurship programs? Most skills garnered from learning about entrepreneurship will translate into virtually any field. For example, a lot of it is just learning about people and how to successfully collaborate and communicate. A lot of it is also understanding business and finances, and a lot of it is understanding how to brand or market your idea. At the end of the day, a good entrepreneurship program will teach you how to execute your ideas effectively. That is something that will help you for the rest of your life, regardless of career choice! I used to think I knew where I needed to go and was very fearful/anxious about getting there; now I’m open to the fact that my skills and passion may take might me down any number of paths and I’m optimistic about where those paths might lead. When organizing an entrepreneurial endeavor, whether it be a business venture or an outreach initiative plan, no detail should go unconsidered. Plan in detail, practice that plan step-by-step, and maintain flexibility while the plan becomes reality…I use the skills daily at my current job as the Program Coordinator of an El Sistema-inspired youth orchestra program. It’s not enough to just play well anymore, we also must learn to engage with our audiences in a way that is meaningful in our ever-changing society. Studying entrepreneurship is one of the best ways to move toward this goal! My most important takeaway from the program is that there are many more avenues for a successful career in the arts than I originally thought. Don’t try and do everything yourself! Build a team, and have some physical support. Yes, you will have to be your own marketing, design, or IT guy, and even CFO at some point in your journey, but you can’t do it all. You have to say yes most of the time, but there will come a time to say no; it’s just impossible to recognize for a while. What If Your School Doesn’t Offer an Entrepreneurship Program? If your school doesn’t yet offer a defined program geared to helping students figure out how to self-start their music careers, you’ve got to work harder to find and create what you need for your future. Every school has excellent, professional musicians and role models in the music school as well as other areas on campus such as the business school or department, but it’s up to you to find the resources that will best serve you. This is so true and I’m really thrilled to see that this is starting to catch on. The most beneficial skill I’ve learned since graduating is how to identify problems that others have and position myself as the solution to their problem. Whether that’s performing or combining on of your other skills with your knowledge of music there are tons of opportunities out there for those that are savvy enough to look to recognize those opportunities. Great post!